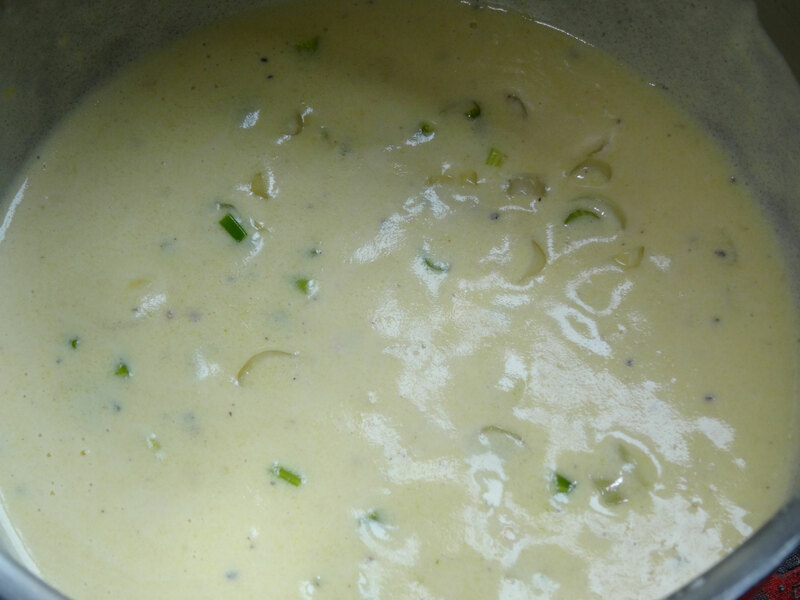 Place the butter in a saucepan over a medium heat. 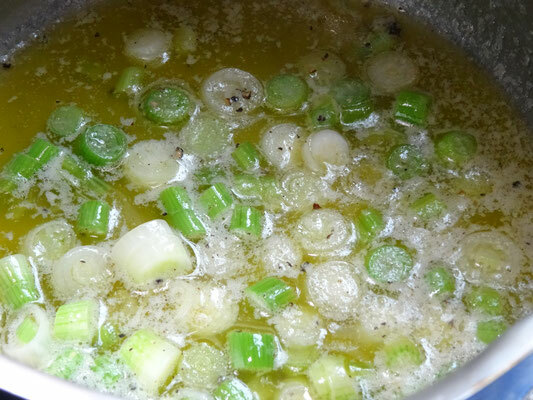 Once the butter has melted add the spring onions & cook until soft. 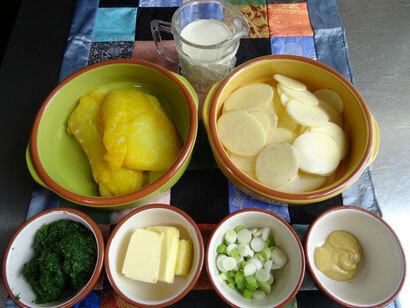 Pour in the double cream, mustard if using & season with salt & pepper. Allow to cook for about 2 minutes & remove from the heat. Do not boil. 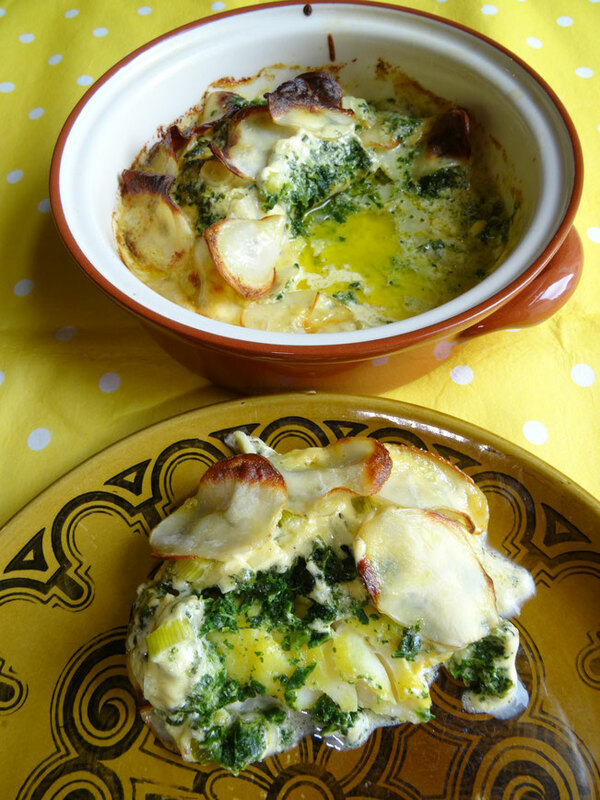 Lightly grease an ovenproof dish & place a layer of potato on the bottom. 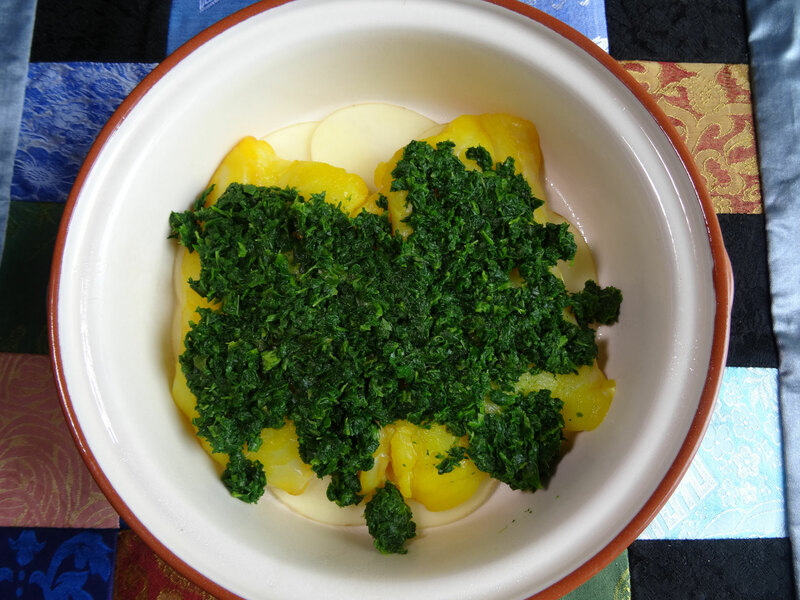 Place the fish fillets on top of the potato & scatter the spinach evenly over the fish. 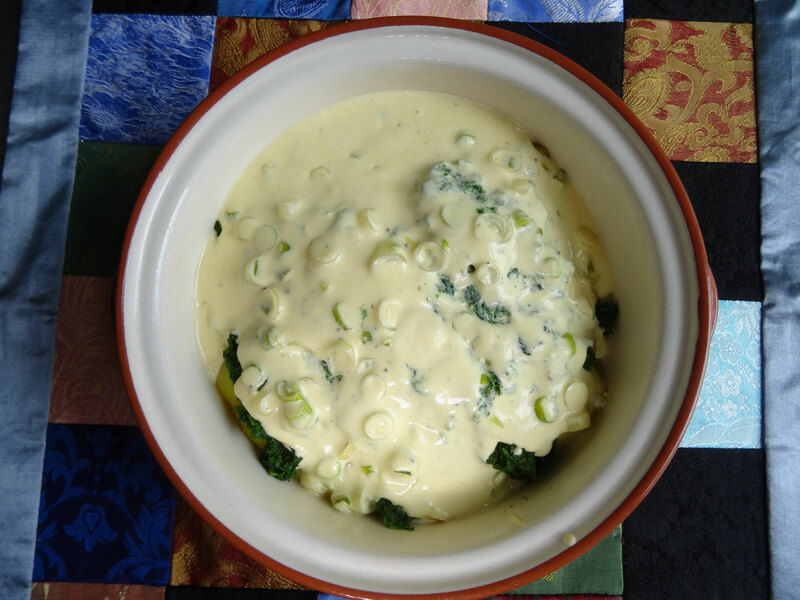 Pour the sauce carefully over the fish & spinach. 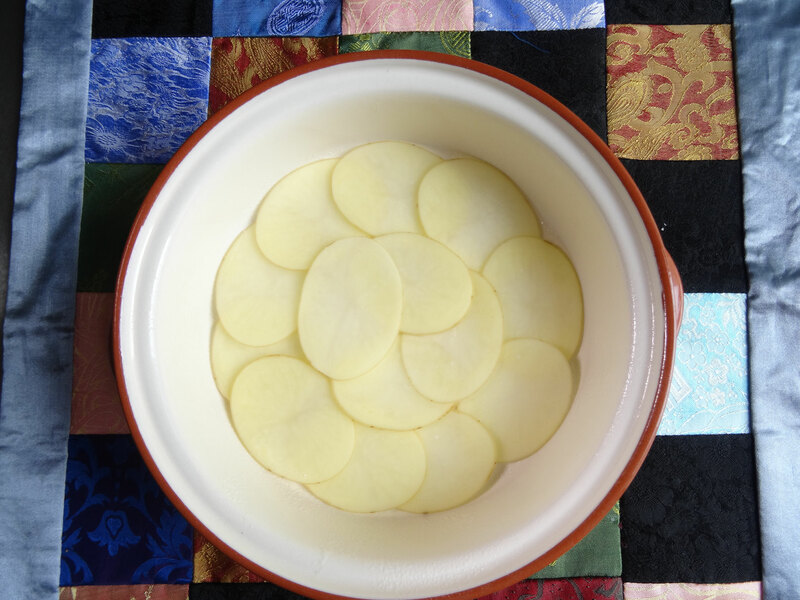 Cover with more potato slices, allowing them to overlap. Dot the potato with a little butter & place in the oven for 30 minutes.